I just took a nap. Whoa. I’m not a nap kind of person. But it was much needed in recovery of my exciting weekend. You’re not going to believe who I hung out with all weekend long. And the picture above is of some the Canon cameras that were there at this weekend event. Every one of us had some type of Canon camera, including myself. No other brand. What a great Canon ad that would have been! But before I get all into what I did this weekend. Let me tell you what exciting happenings are coming up. First, this week, I’m allowing dads take over Simply Modern Mom. What?! Just a little Simply Modern Dad love. In celebration of Father’s Day this Sunday, I interviewed some famous and fantastic dad bloggers. Asked them to share with us the dad perspective of parenting. It’s going to be fun to hear their side of the story. And just wait until you see their sites. I can’t wait for you to meet our dad bloggers. This will begin Tuesday. P.S. If this has reminded you that you still need a Father’s Day gift, check out my list of 21 gift ideas for all types of dads. Second, tomorrow I am participating in SF Girl By Bay’s Pin It Forward web event. A huge party. You’ll see more about it tomorrow. But along with Pin It Forward, I have some exclusive invitations for you for a new site/program/social network that will make organizing and bookmarking all those blog posts, articles and tutorials so much easier. It’s my new favorite thing. Third, the first anniversary of Simply Modern Mom is approaching. June 29 to be exact. I know. It has been a year. And like any first anniversary or birthdays, I’m going to make a big deal out of this. I’m setting up some major sponsors for some major prizes. This will happen the last week of June to the beginning of July. Tears. My SMM baby it turning a year old. Nathan, the most amazing tech and design support, is working on a bit of a redesign of SMM. He is hoping it will launch by my anniversary week. And lastly, thank you for all your Adventures of Modern Mom stories. I read them all and loved them. They made me laugh so hard. You haven’t read other people’s responses? You need to go now. It will make your day. Thanks for sharing and relating. Doesn’t it feel good to know that you’re not the only one who has been through baby poop stories? I will be posting plenty more Adventures of Modern Mom stories to come. OK, OK. Are you just dying to know who I spent my whole weekend with? Let’s just say her site starts with a “M” and ends with “ADE.” Of course! The ever so famous Dana from Made. And yes. She is as lovely, cheery and bright in person as she is on her blog. And she wasn’t freaked out that I followed her around all weekend like a lost puppy. Dana came to Georgia for a Whipstitch event. Yes. 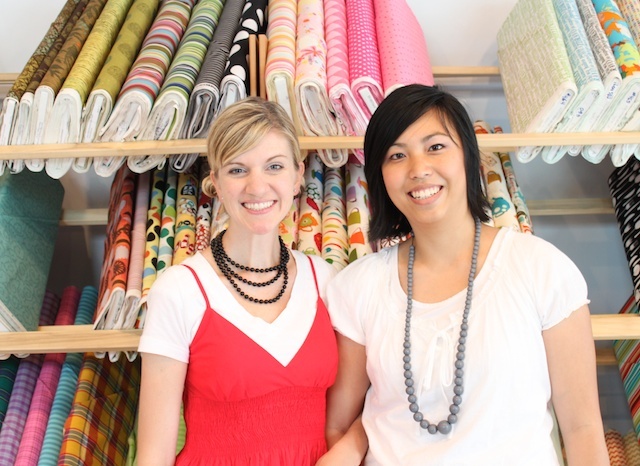 That amazing modern fabric store that I’ve been raving about. Like many of my other blogger friends, Dana and I have been chatting through email and finally got to meet in person. I also met Jenny from Southern Institute for Domestic Arts and Craft (pictured below). She is fabulous too. The three of us spent pretty much the entire Saturday together eating, chatting and whatever girls do when they get together. It was a blast. The blogger gathering didn’t end there. 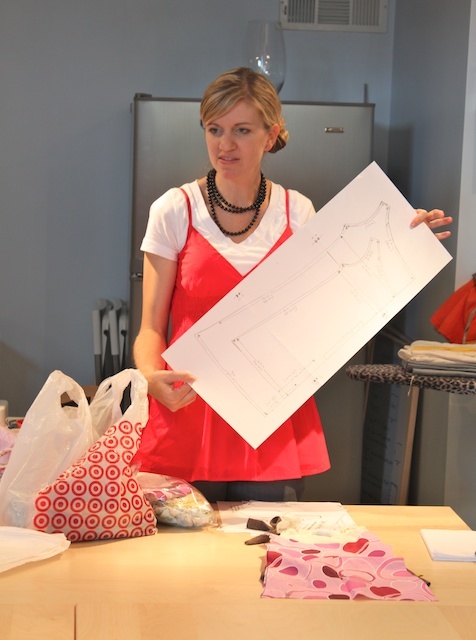 Amy from Mod Podge Rocks also came to the events. Amy and I have also been talking about a gathering of Southern bloggers. 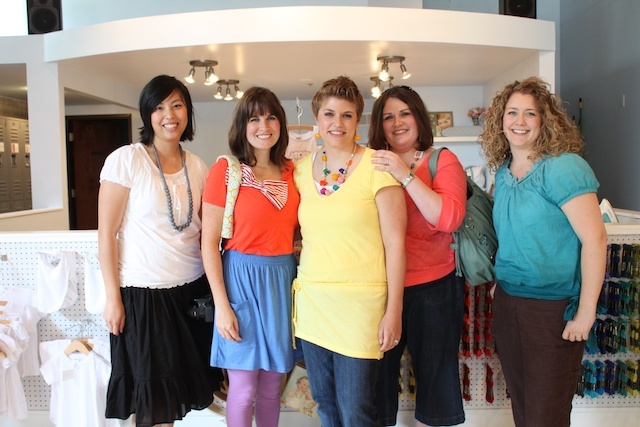 Then when she walked in the doors of Whipstitch, I was like, “That looks a lot like Amy from Mod Podge Rock.” And it was. 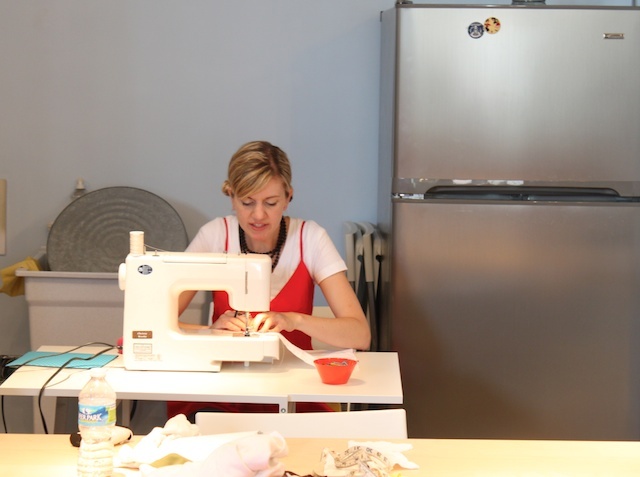 Dana was invited to Whipstitch to teach a class and do some workshops sharing with us her talents and secrets to her incredible sewing works. What a privilege it was to learn from her and see her in action. 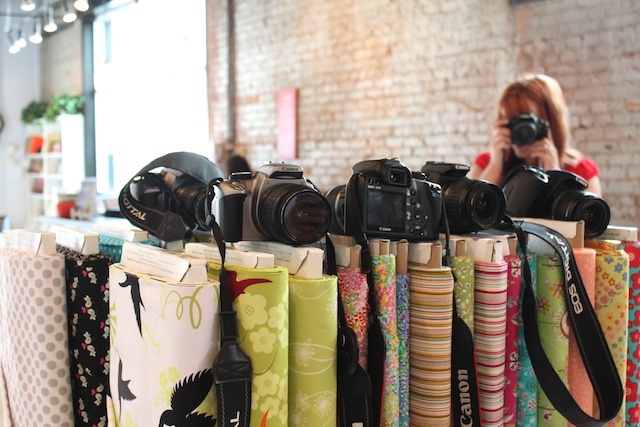 I also had the opportunity to meet a few other craft enthusiasts and bloggers. 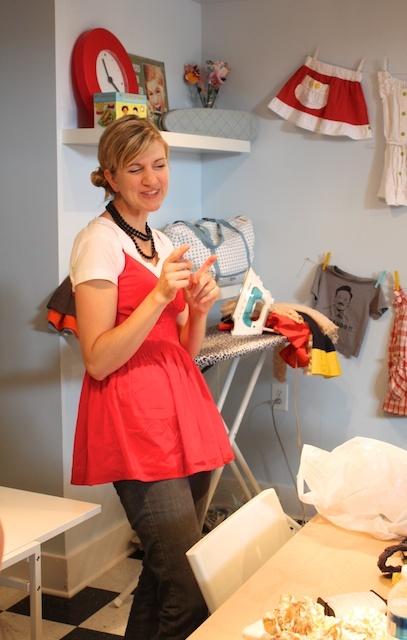 I love meeting bloggers and crafters. I definitely think we should do this more often. BTW, if you were there and I didn’t catch your name or blog address, please leave it in the comments or email me. I would love to check it out! » Tell me… Have you had the opportunity to meet any bloggers or attended any blogging/crafting conferences or events? Look how fashionable and cute all the ladies look! Adorable. So crazy! After I met you I came home and realized I’ve got your blog bookmarked along with your pillowcase dress tutorial and several of your skirt tutorials! It’s so funny that I didn’t make the connection that it was you! Anyway it was so wonderful meeting you and I hope we get to run into each other again sometime! Anyway I didn’t get to say bye because we had to quickly slip out but you are the sweetest and I look forward to reading many more things on your blog! Tiffany, it was so great to meet you! I am so glad to know about your blog now. Tons of fun hanging out and getting to know you and Dana. Tiffany, I sent you a personal message but I forget to beg you for the picture you took on Friday night (I’m on end). Please, please can you send me a copy? It was cool meeting you and the other ladies that evening. I hate that I missed the excitement Saturday but maybe we can get an Atlanta Crafty Bloggers Meet-Up going. Just a thought. Tiffany it was so much fun to meet you too! I LOVED that we had all of Saturday to hang out. What a sweet post. Thanks :). And I hope we can do it again!! That was so much fun on Friday night. I wish that I could have gone on Saturday! Looks like you had a great time. Yes, group: let’s! Maybe an Atlanta Craft Bloggers Guild? 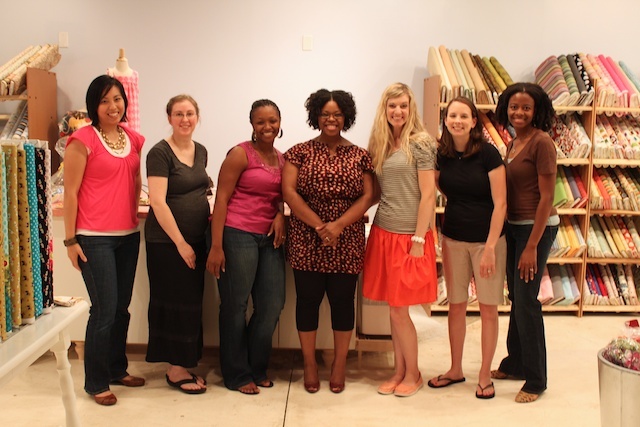 I’ve always wanted to be a guild member… Whipstitch volunteers to host! Seriously: how much fun was this weekend?? We’re SO doing this again, over and over and over… It’s like my dream for Whipstitch all come to life, and the 600+ photos I took don’t even come close to doing justice to how great it felt to have all y’all in the shop and having such a great time in one another’s company! SO glad you were there! Tiffany… It was great getting to know you on Saturday. 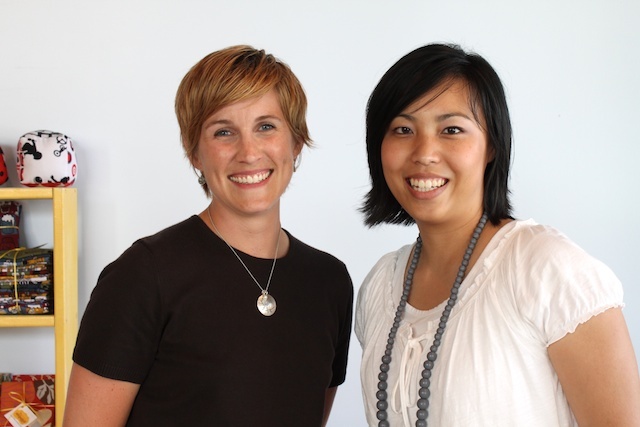 So glad we had a chance to chit chat about our kids, blogging and such. Hopefully our paths will meet up again sometime soon! !